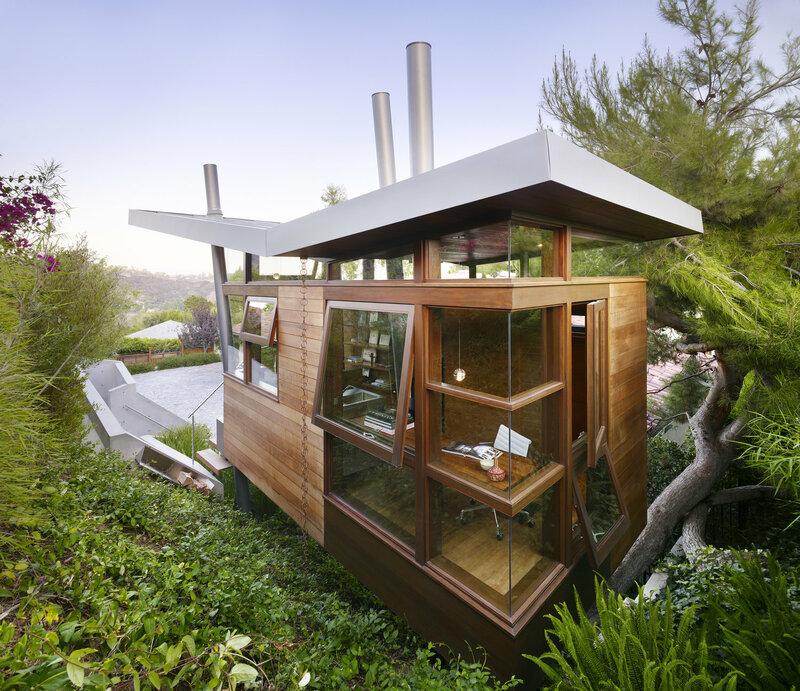 This one of a kind structure is a unique wooden treehouse located in LA, California and is the perfect mixture between business and pleasure. 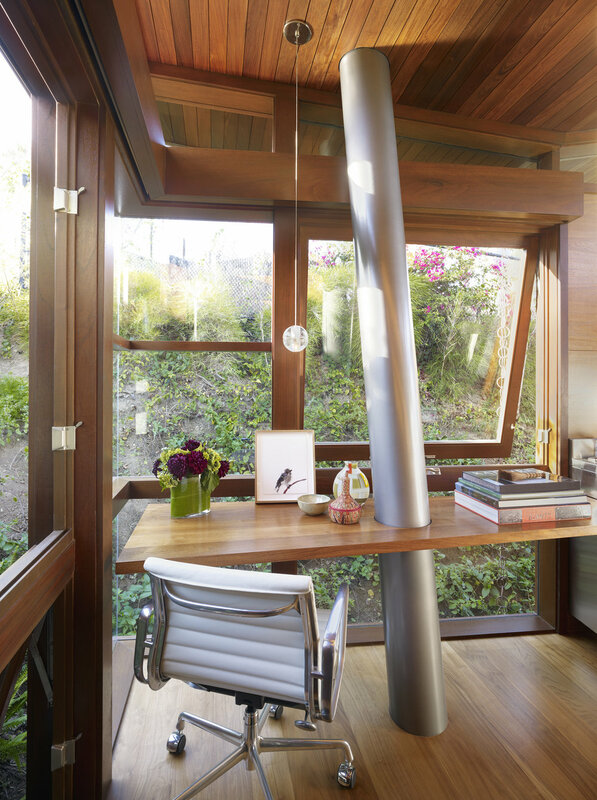 The modest, one room piece of contemporary architecture was built as an office getaway for someone who adores nature. Inside you find an all wooden interior, a warm stained wood that hugs you from all around. 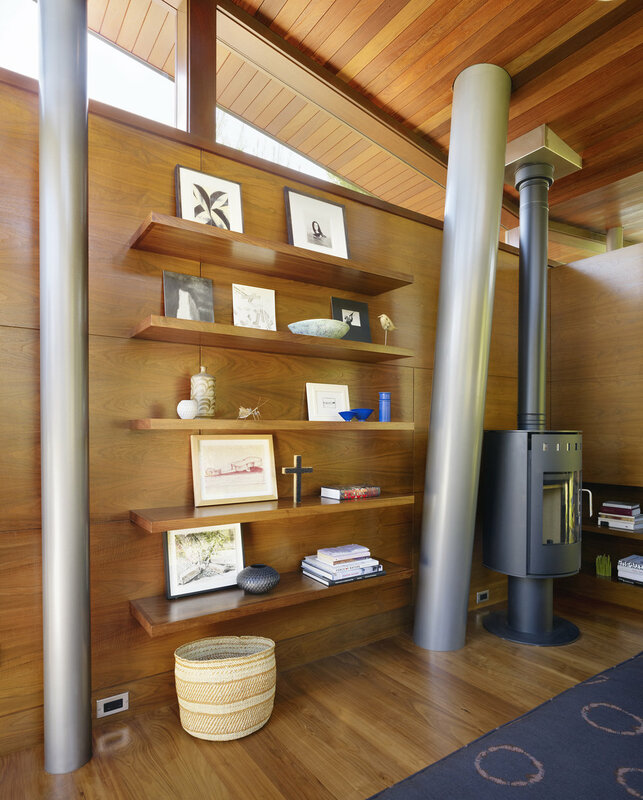 Large floating shelves are stacked for ample storage, a built-in sofa that doubles as a bed for those long nights in the office, and a sleek wood stove provides all the heat you’ll need. The awning style windows provide a clear view of the gorgeous scenery around the home. 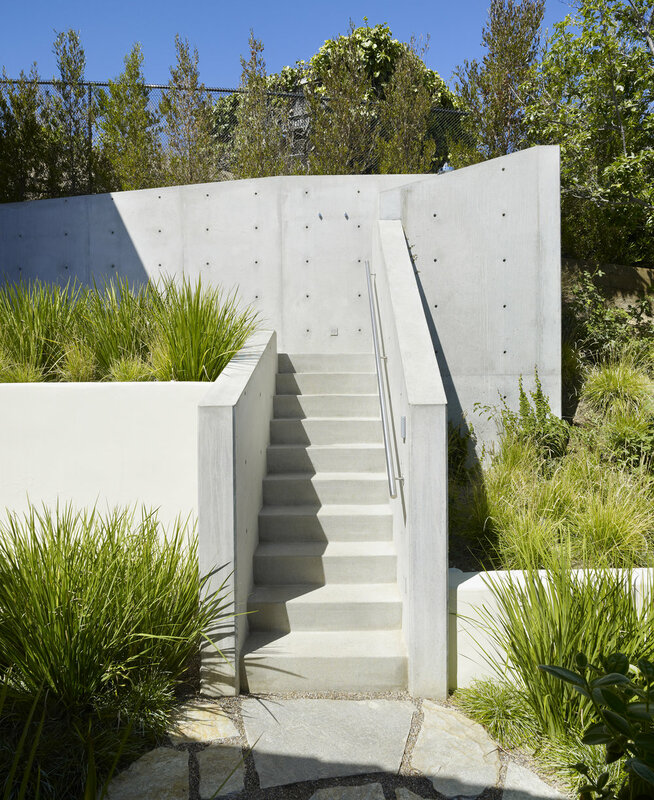 Large, thick metal beams protrude from below and extend up to the roof, providing a sturdy base for the home to sit on as well as lend a touch of ultra-modern flare. 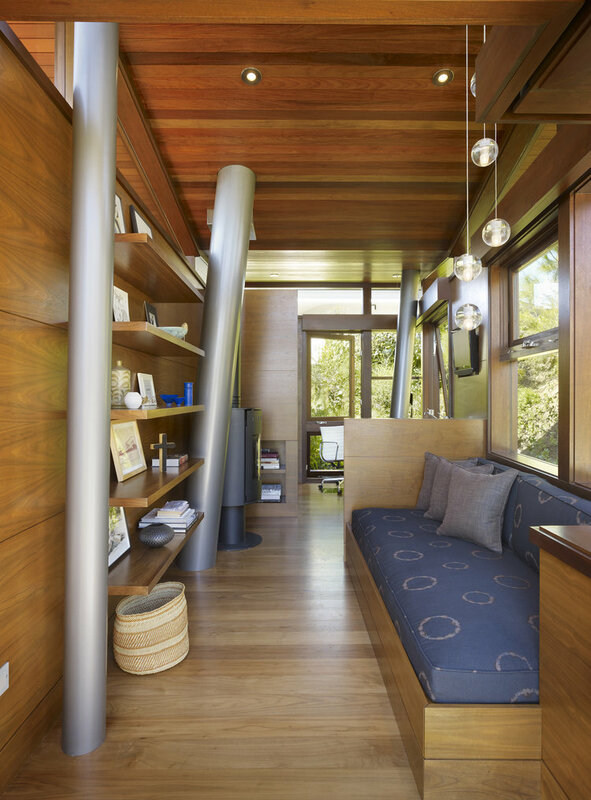 The Banyan Drive Treehouse is the perfect small space solution for anyone who loves design, nature, and a serene getaway off the ground. 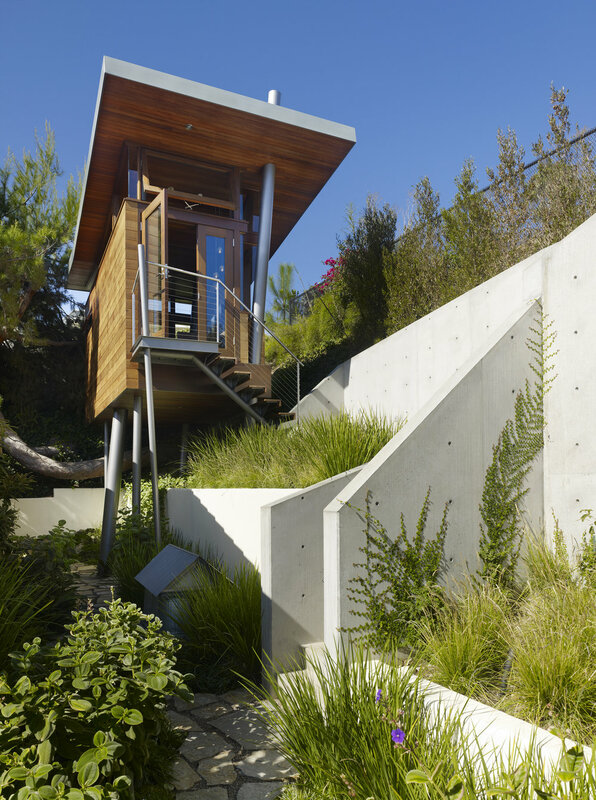 Although there’s a small toilet area included inside the home, there’s a roomy shower stall found just outside the abode and down the concrete slab stairs. 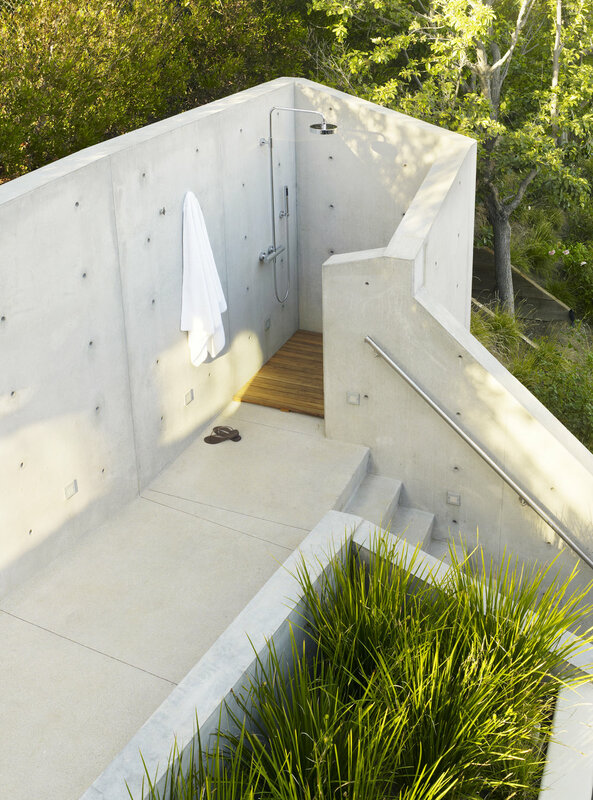 It’s cleverly hidden form plain sight, but offers a nice, spacious place to shower outside in nature. 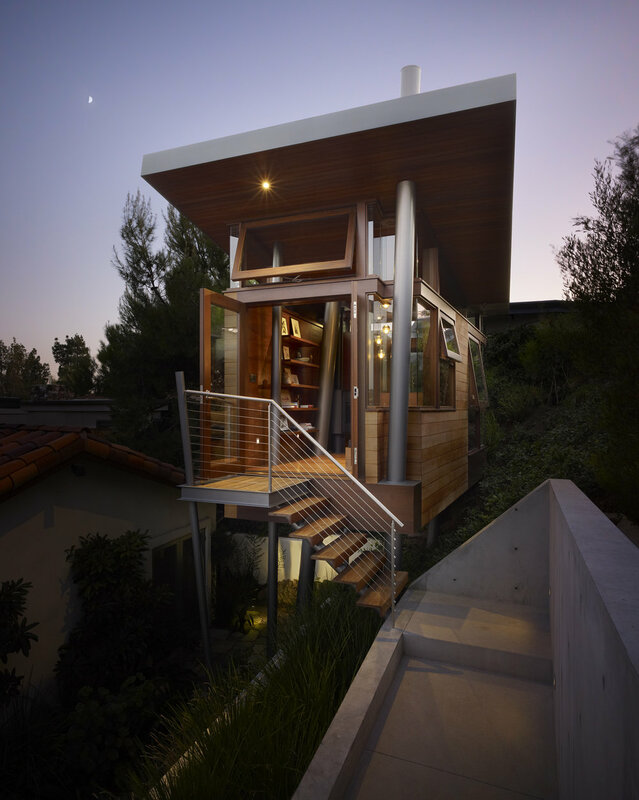 Perched 12 feet off the ground, the structure by Rockefeller Partners Architects showcases a multitude of materials such as mahogany trimmed windows, a deep-oiled wood siding to keep with the color theme, and a quirky Rheinzink style roof to top it all off.